THE ELVIS CLUB IS OPEN FOR BUSINESS AGAIN! Kempner (who’d first made his mark as “Top Ten” of ’70s punk pioneers the Dictators), Ambel (a founding member of Joan Jett’s Blackhearts) and Funaro, along with original bassist Manny Caiati, first joined forces in the early ’80s to help breathe life into downtown Manhattan’s temporarily moribund live music scene, quickly winning local renown for the uncompromising intensity of their live sets. Between 1984 and 1990, the band released four studio albums — Frontier Days, Johnny Comes Marching Home, Based on a True Story, Lovers Who Wander — which documented the evolution of Kempner’s provocative songwriting and the band’s tightly wound instrumental rapport. With no permanent fourth member at the time, the band began cutting tracks for Elvis Club with some notable guest bassists, namely ex-Suicide Commandos/Beat Rodeo vet Steve Almaas, Ambel’s Yayhoos bandmate Keith Christopher, and Ron Sexsmith/Ani DiFranco sideman Jason Mercer. Eventually, it became clear that Michael “Duke” DuClos, who came on board in the latter stages of recording, was the man for the job. 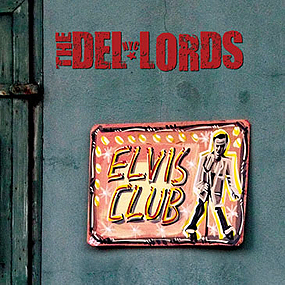 The Del-Lords are back! 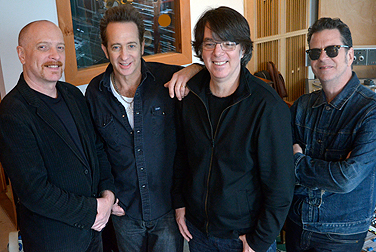 L-R: Frank Funaro, Scott Kempner, Eric Ambel, Michael DuClos.